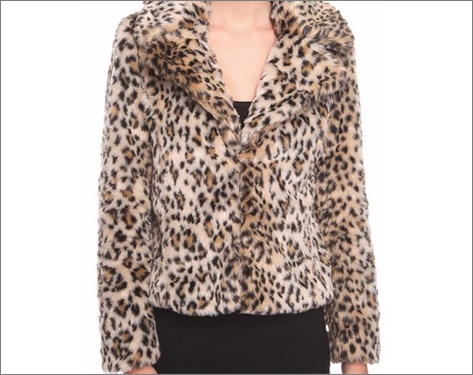 My post today is about how to wear a piece of clothing -- a Faux Leopard Fur Jacket -- two ways. On the left, I paired the leopard jacket with a red top and ivory skinny jeans. To accent the tan color in the jacket, I paired it with the camel pumps. On the right, I went with all black -- skinny jeans, top, and knee high boots. I would like to acknowledge one of my favorite style blogs, What I Wore, for the inspiration for the outfit on the left, and Kate Moss for the outfit on the right. Also, I might suggest adding a necklace to the outfit. The black necklace paired with the red/ivory outfit to bring out the black leopard print. 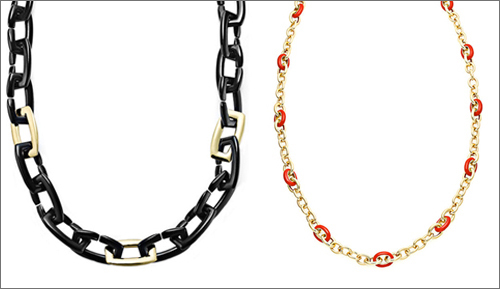 The red necklace for the black outfit to add a pop of color. I always like red paired with leopard. 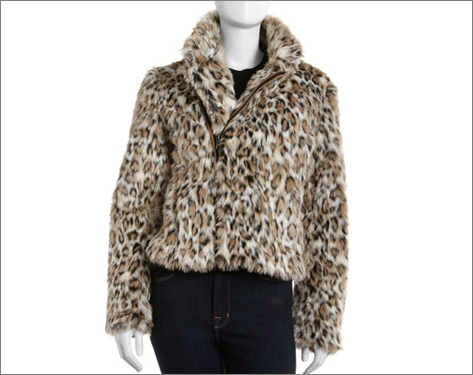 Here are a few more options for a Faux Fur Jacket.